See a video of the full press conference at the bottom of this article. It should have been a press conference to savour for Vitali Klitschko. A few hours previously, he dominated Britain’s Dereck Chisora over 12 rounds to retain his WBC Heavyweight belt, unanimously winning the contest on all three judges’ scorecards – 118-110; 119-111 and 118-110. During the post fight press conference Haye, positioned behind the journalists, interrupted, probably after a few drinks, to demand why he is not on Klitschko’s agenda. From that point on, Chisora and Haye traded insults. “David, you and me can get it on in London,” said Chisora. “David Haye is an embarrassment. Sky Sports don’t do Box Office because of David Haye. He messed up Box Office for all the young fighters and I’m going to give him two slaps for that. 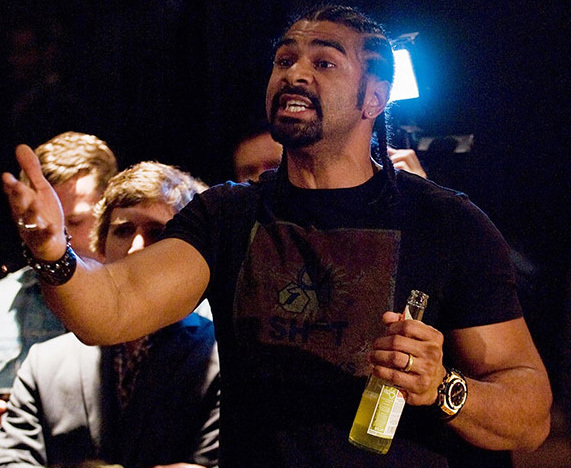 If David Haye is a fighter he should fight me. Let’s fight, me and you.” Chisora then lost his cool after Haye continuously goaded him about the fact he had lost his last three fights. He left the stage and confronted Haye with his entourage firmly behind him. Unsurprisingly, the ‘Mexican stand-off’ lasted merely moments and blows were quickly exchanged. Haye threw the first punch whilst holding a bottle. 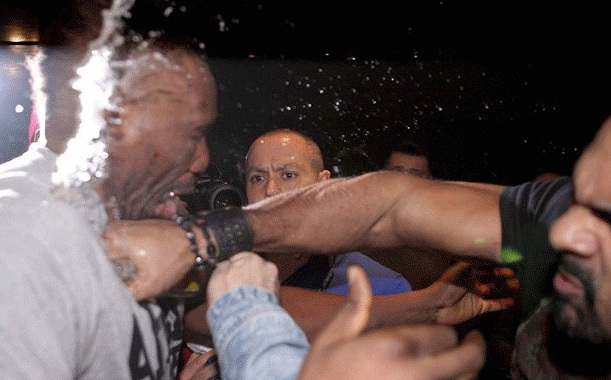 After a scuffle on the ground the two men were separated but there were additional exchanges, most notably with Haye swinging a tripod, like a makeshift baseball bat, at Chisora’s trainer Don Charles plus Haye’s trainer and manager, Adam Booth, was left bleeding above his eye from an apparent glassing. Chisora was arrested on Sunday morning at Munich airport by German police but later released without charge. Meanwhile Haye fled the country immediately after the press conference (presumably before Chisora had the chance to take matters into his own hands as they were staying at the same hotel) before the police could question him, resulting in calls for the Brit to hand himself in. Haye has not commented but Booth said that Haye would comply and fly back to Germany for questioning by the authorities. This regrettable incident does leave boxing in a truly sorry state of affairs. It is not the first time that scuffles have broken out amongst boxers but to be slapped, have water spat in your face and your own post-fight press conference ruined by two fools, no wonder the Klitschko camp want to look at opponents ‘outside Great Britain’ . 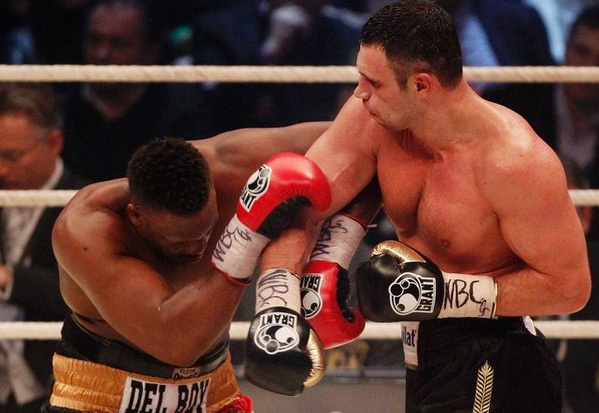 The biggest losers should be the brawling Chisora and Haye – as the German Boxing Federation have rightfully asked the British Boxing Board of Control to revoke their boxing licences. However, the real losers are the British public. We’re used to having ambassador heavyweights such as the late Sir Henry Cooper, Lennox Lewis and Frank Bruno. Sir Henry would be turning in his grave after Saturday night’s events. After the public slapping, Vitali Klitschko legitimately said that although Chisora was from Great Britain, “he is not a gentleman”. A placid response from a true champion. Britain continues searching, in vain, for it’s own chivalrous heavyweight contender. See the full press conference below.